This is one that I had borrowed from the library before Christmas but hadn’t got around to reading it until last week. It was a quick read as the story got me hooked in right at the start. The story is about two women separated by a generation, one living in Manhattan and the other in Australia. 2015. Australian curator Fabienne Bissette attends the annual Met Gala for an exhibition of her grandmother’s work – one of the world’s leading designers of ready-to-wear clothing. But as Fabienne learns more about her grandmother’s past, she uncovers a story of heartbreak and secrets – and the sacrifices made for love. You can read a preview of the book here and you may decide then to borrow the book from your library. 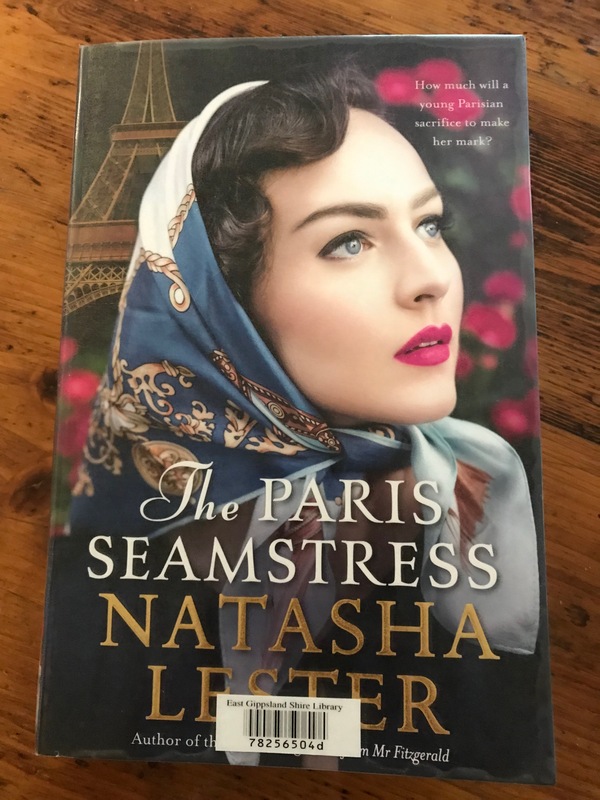 This entry was posted in books, reading and tagged 2019 Reading Challenge, books, historical fiction, Natasha Lester, reading, The Paris Seamstress by suth2. Bookmark the permalink. Cracking read for the first one of 2019. I shall add it to my list. Thanks for the review.